This past Sunday the pastor at my church preached on this Scripture. He described what it could have been like digging through the roof. I have read this passage before but this was the first time I noticed something. Not the usual thing I see when I read this before. I used to always notice the obvious. Jesus saying “Son your sins are forgiven” is an obvious thing to point out. What I noticed this time was the faith. Not the faith of the paralytic, but the faith of his friends. They believed so much that Jesus could heal their friend that no matter what was keeping them from seeing Jesus, they would find a way. Even when the crowd was too huge to get in the door, they were willing to climb up to the roof, carrying their friend. I am sure climbing the roof without carrying someone was hard enough. Now they carry their friend. They didn’t just stop on the roof and yell for Jesus. They were determined to take him to meet the Lord. They dug a hole in the roof. 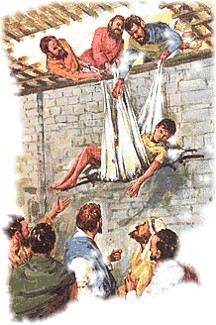 In Luke 5, it is written “But not finding any way to bring him in because of the crowd, they went up on the roof and let him down through the tiles with his stretcher, into the middle of the crowd, in front of Jesus.” Luke 5:19 They were not letting anything stop them from taking their friend to be healed by Jesus. How many of us have friends who need healing? How many of us know people who need some kind of miracle? How many of us know someone who needs to meet Jesus? Now how many of us are willing to carry them up on a roof? 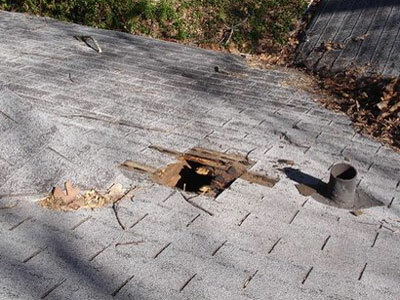 How many of us would dig a hole in the roof to get our friends to Jesus? Sometimes I feel I’m not digging enough holes in the roof. I’m not carrying enough friends to Jesus. I know in the end He heals and I can’t change people, but I can do more to bring them to Him.